Carte de localisation des îles Andaman. 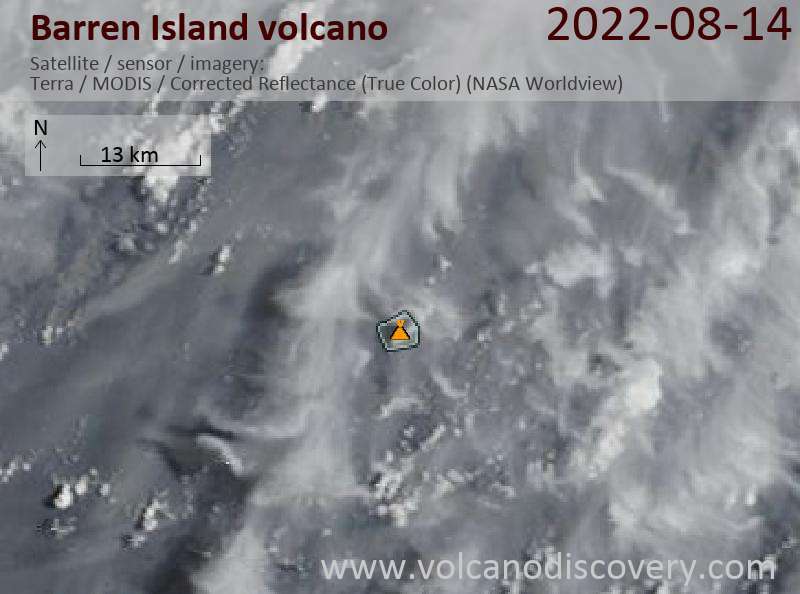 Comments: This oblique shot shows a large eruption plume dispersing westwards towards the main island group. 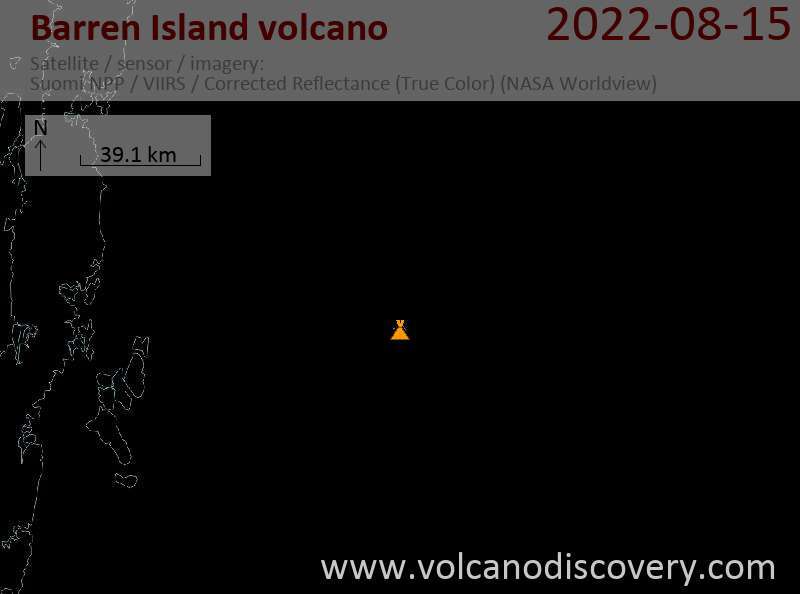 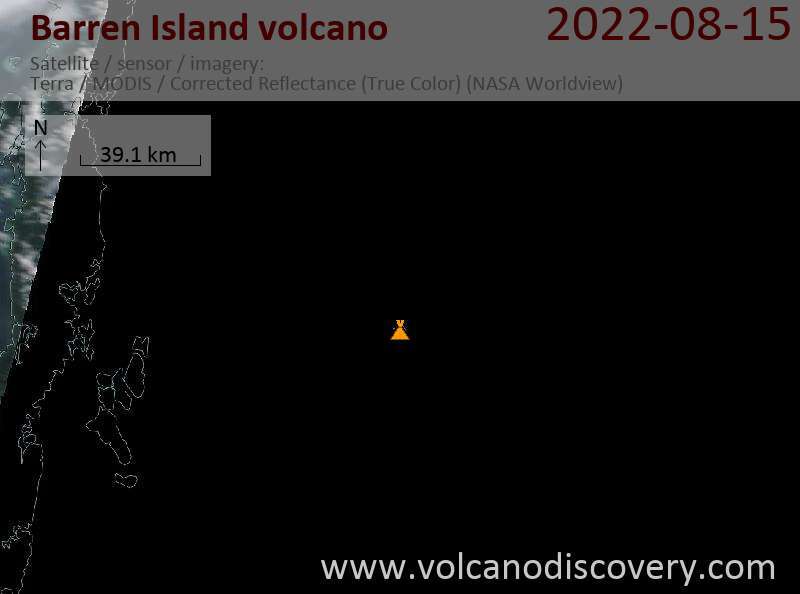 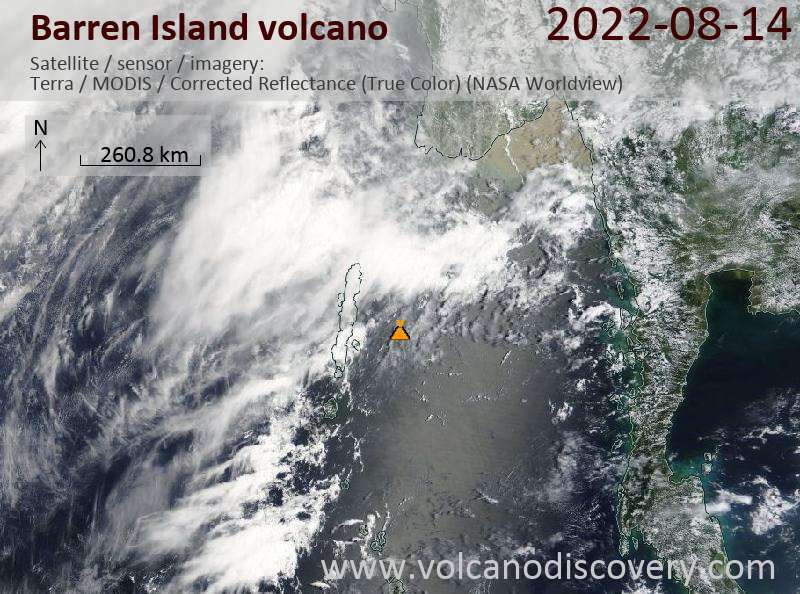  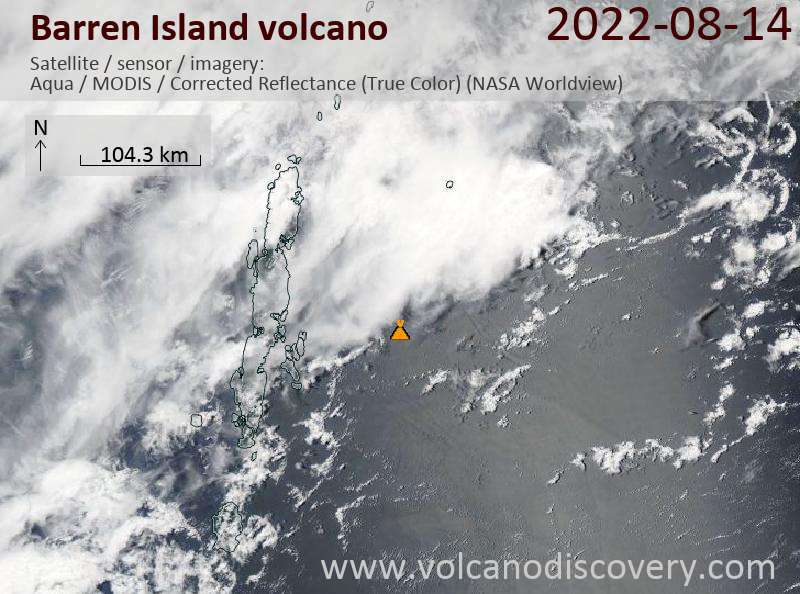 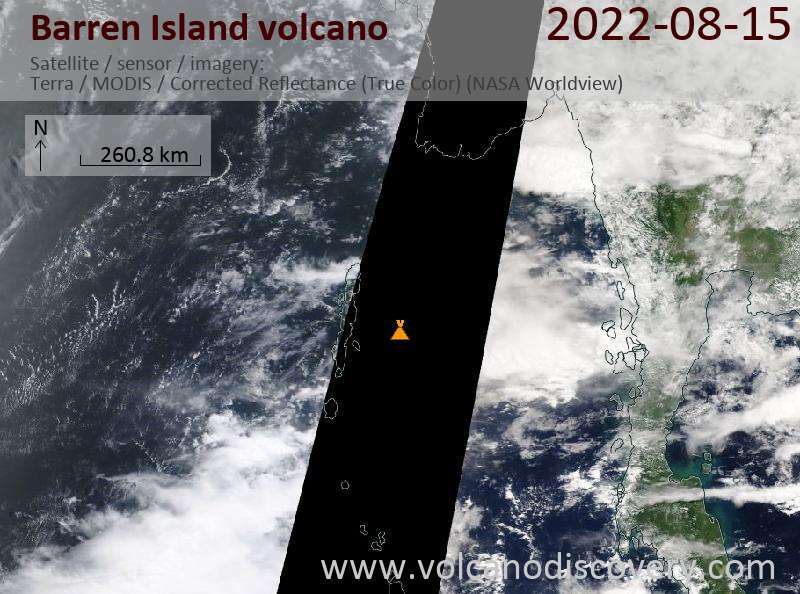 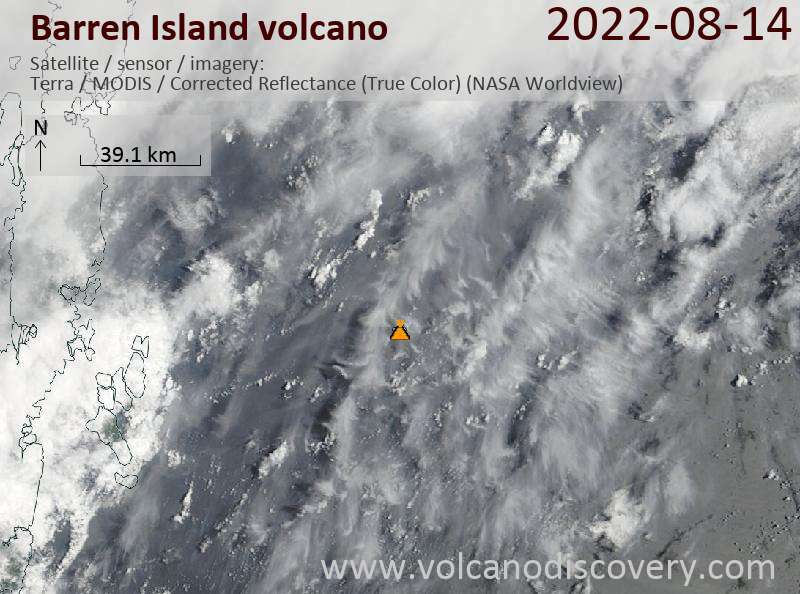 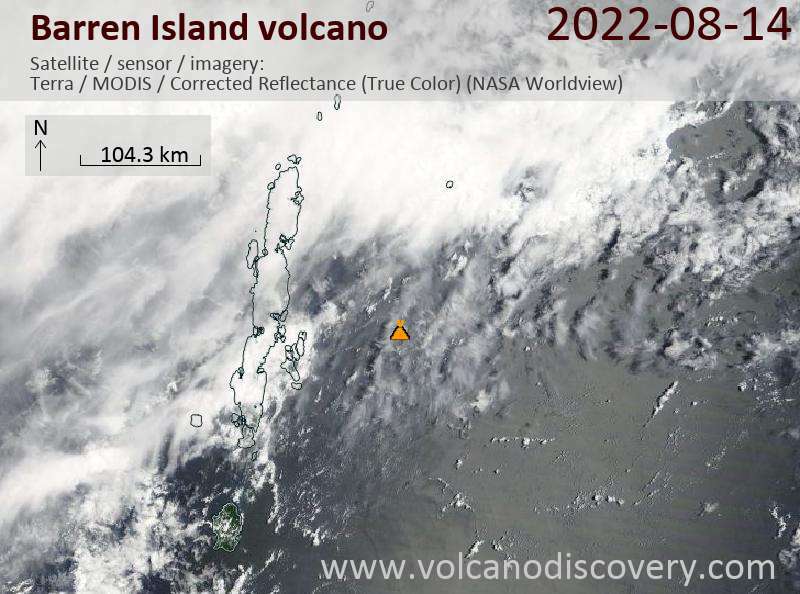 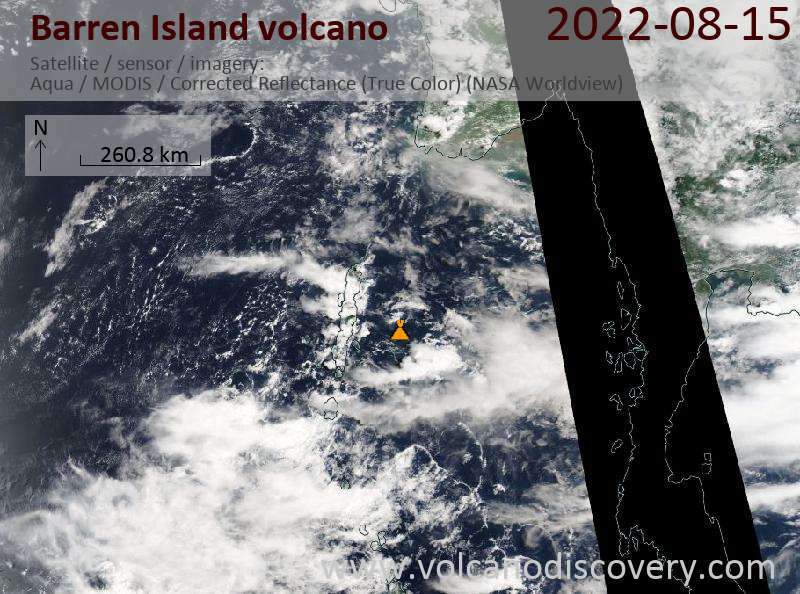 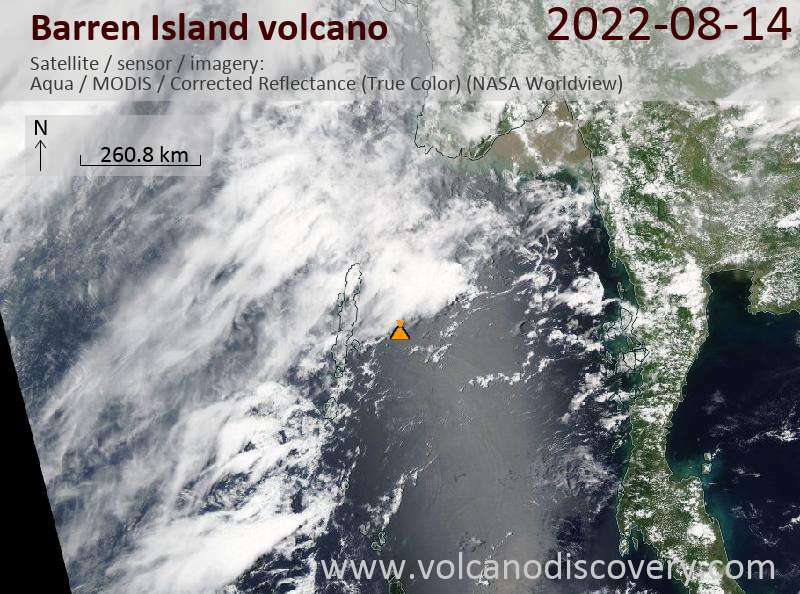 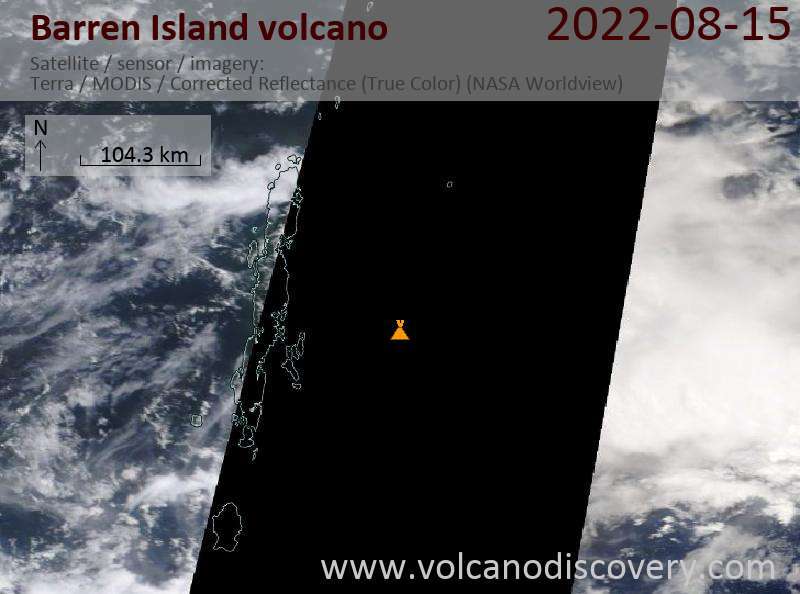 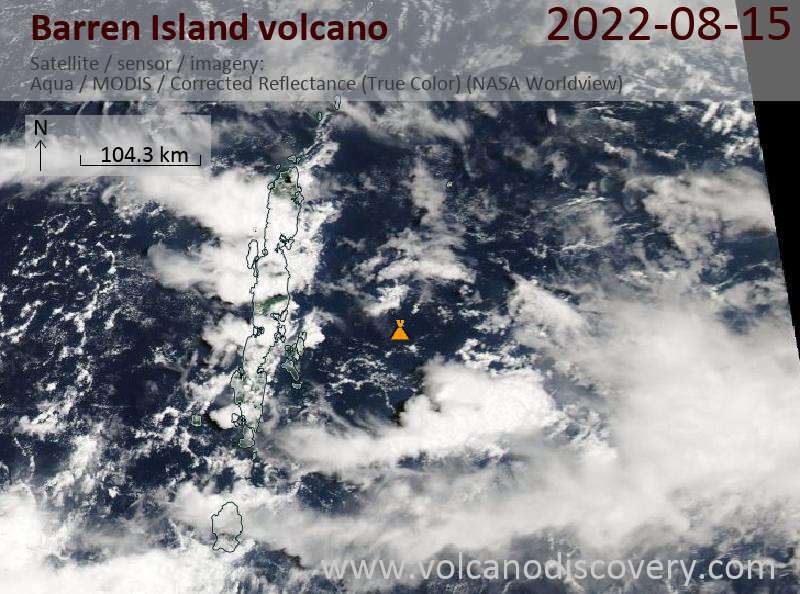 From the photographs, it seems that there are three levels of the eruption plume: the first is low level, near the base of the eruption column and spreading southwest (upper left in this image). 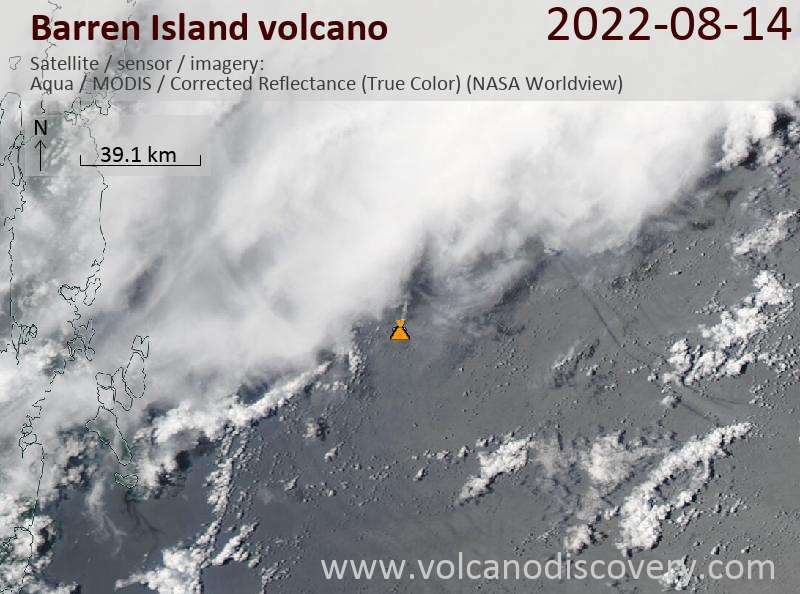 The other two levels are higher, with a suggestion of a due westerly plume (right in this image) overlain by a less visibly dense west-southwest plume of slightly different composition (upper right).